One of Di-Modell's perennial bestsellers is the iconic Chronissimo. Part of the Air-Ter-Mer Sport collection, this rugged strap is constructed of high quality, soft textured matte calfskin leather with a patented hypoallergenic Aero lining. Waterproof to 100m. The keeper is protected and stabilized with a red loop anchor. Perfect for sports, pilot/aviator or chronograph watches. Di-Modell is revered for its high standard of craftsmanship and attention to detail. 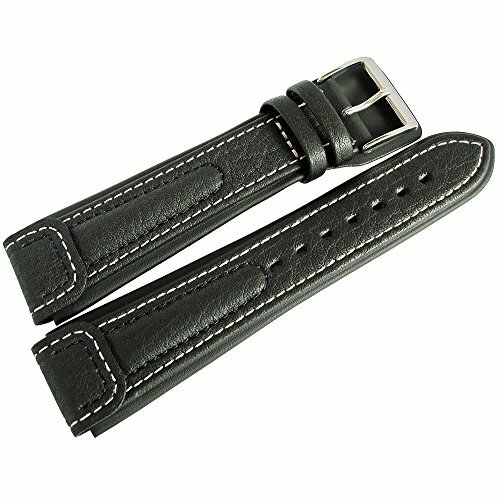 Each strap is manufactured by its team in Tauberbischofsheim, a small town in northeast Baden-Württemberg, Germany. Available in two lengths (see our related listing for the longer version).